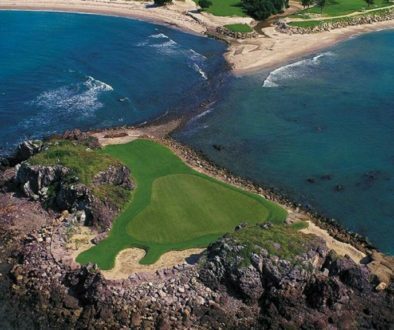 Imagine lush fairways, the bluest water, and a course designed by the greatest golfer the world has ever known. 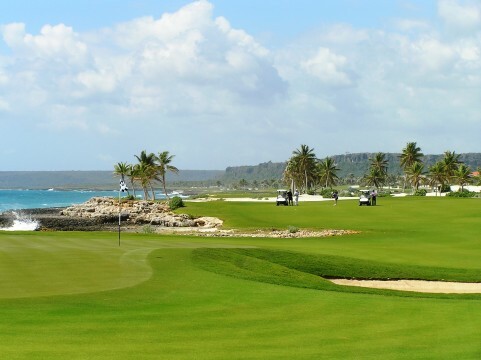 If your golf bucket-list didn’t already include Punta Espada in Punta Cana, then keep reading. 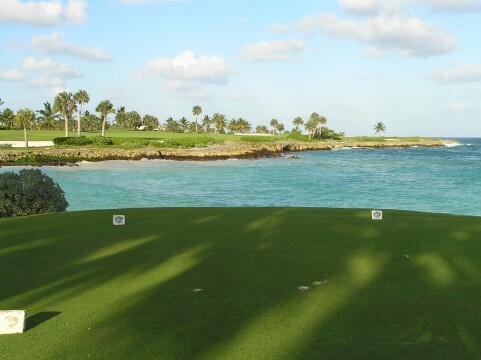 For three years running, GolfWeek has named Punta Espada the Best Golf Course in the Caribbean. Want more? After winning the Cap Cana Championship in 2010, Fred Couples declared that Punta Espada was Jack Nicklaus’ finest design ever. 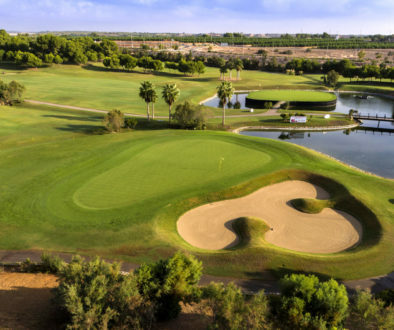 Keep in mind the Golden Bear has designed 280 courses in 34 countries. 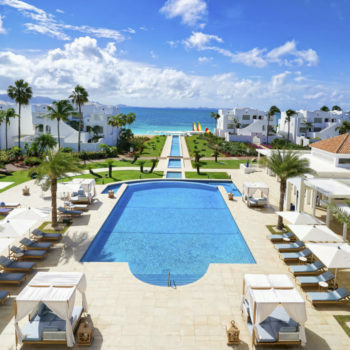 Punta Espada wastes no time in making its presence felt. Upon walking through the clubhouse front entrance, be prepared for an image that will stop you dead in your tracks. Straight ahead, just beyond a framed entryway, is the 18th green. With the ultra-turquoise Caribbean Sea directly behind the green, this rectangular vision is so vivid it seems beyond 3-D. Remember, you haven’t even played the first hole yet. 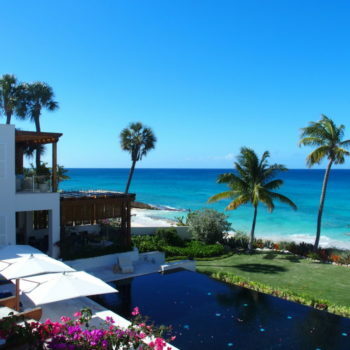 This won’t be your last Punta Espada reality check. 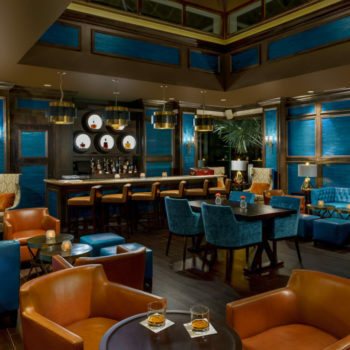 The meticulous care that went into Punta Espada’s design and condition is present at every turn. Nicklaus was given an extraordinary canvas to paint his masterpiece. 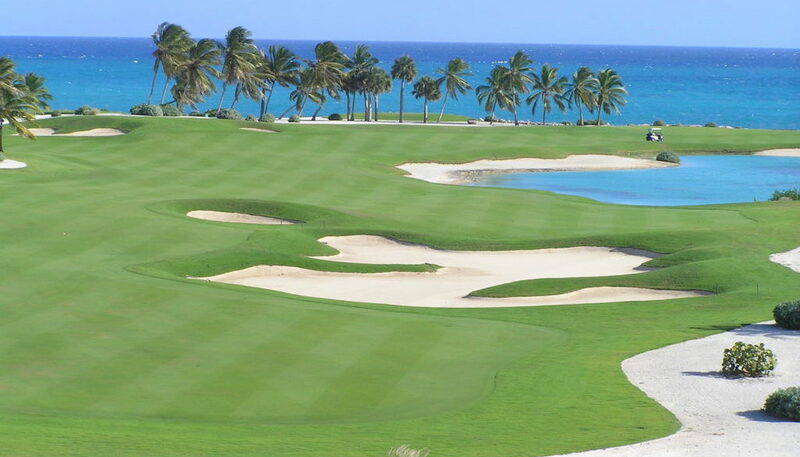 From the panoramic elevations that reveal sweeping views of the course and the Sea, to the limestone outcroppings that were chiseled to border certain holes, Punta Espada is Caribbean golf at its finest. What also impresses, from a real estate standpoint, is the housing that weaves the course’s perimeter. These homes and villas add to your experience while playing with your imagination. 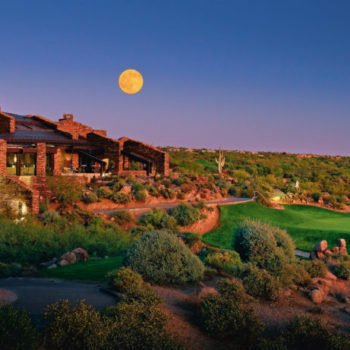 Golf diehards can’t help but feel a twinge of envy for residents who luxuriate in these tastefully appointed abodes featuring views that are to die for. Punta Espada can be both a beauty and a beast. 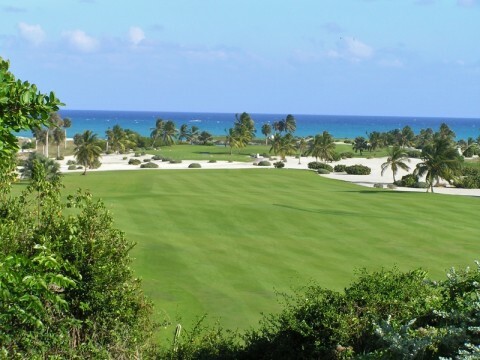 For the holes encountering the Caribbean Sea, golfers must have their wits about them. 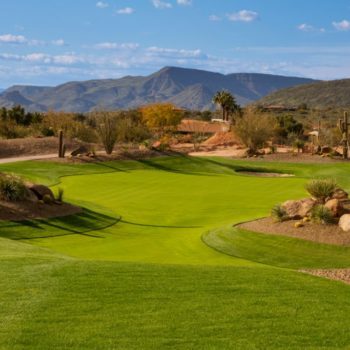 Choosing the safest shot and utilizing course management strategies are a must when cliffs, water, and limestone waste areas are reaching out like long-armed geographical magnets. That’s when you’ll be grateful for advice from the seasoned caddies who are included in your greens fees. These handpicked caddies are Punta Cana’s best of the best. The best in Punta Cana golf is a mouthful when considering that Fazio, Dye, and Faldo are just a few of the names connected to the neighboring golf courses in the area. What’s interesting is if one chooses to play Punta Espada first in your tour of championship golf; it’s hard not to return to Punta Espada again and again. It’s simply irresistible. The sheer beauty of Punta Espada is beyond words. Picking a favorite hole is literally in the eye of the beholder. If you love the outdoors, then golf can be secondary to the sights, sounds, and environmental embrace Punta Espada delivers. Club Manager Bernie Morgan’s fondness for the 17th hole speaks volumes for what a newcomer can anticipate. “For me, I would be perfectly content to bring a good book and a glass of wine to the 17th tee box and just look out over the Sea. I never get tired of the view,” Morgan said. Like your favorite bottle of fine wine, this Nicklaus design is a round of golf you’ll forever savor. 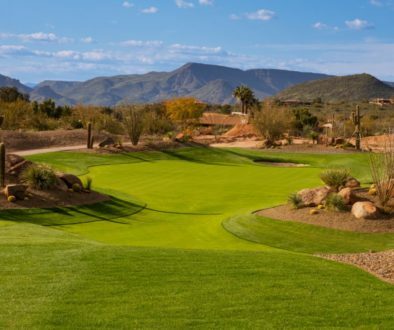 Play this exhilarating golf experience even once, and Punta Espada will find its way into your heart, or at least reach the top of your bucket list.